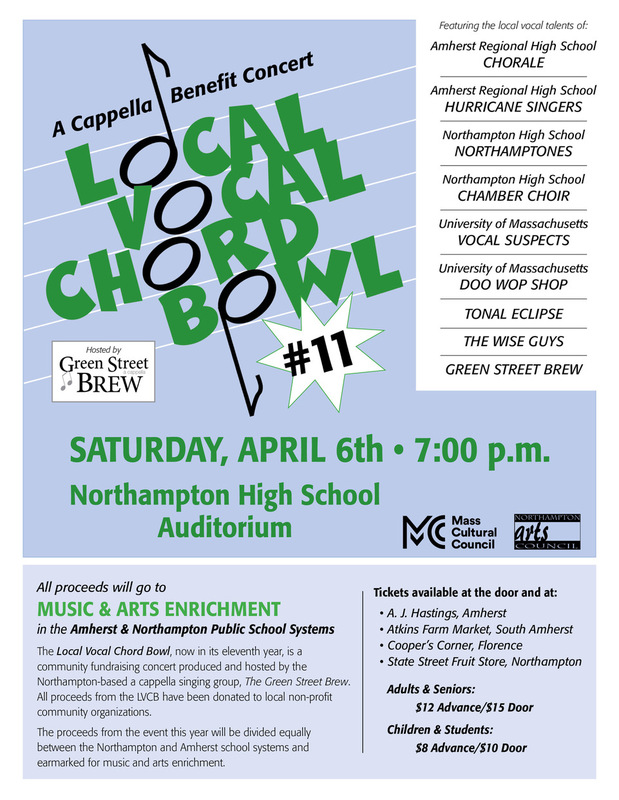 The Green Street Brew, is proud to produce and host the eleventh “Local Vocal Chord Bowl” (LVCB), the all local a cappella concert spinoff of the extremely popular Silver Chord Bowl. 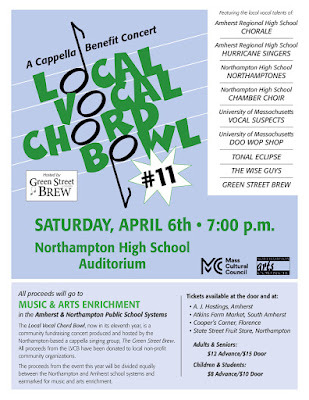 This crowd pleasing community, fundraising concert will be donating all proceeds to the Northampton and Amherst school systems, earmarked for music and arts enrichment. We have a multi-generational line-up of high school, college and adult groups, and all make their home in the Pioneer Valley.